For many years before 1846, British ministers at Madrid had leased a house in Calle de Alcalá but lost it when the British government refused the owner’s demand that it buy the freehold when the lease expired in 1846. 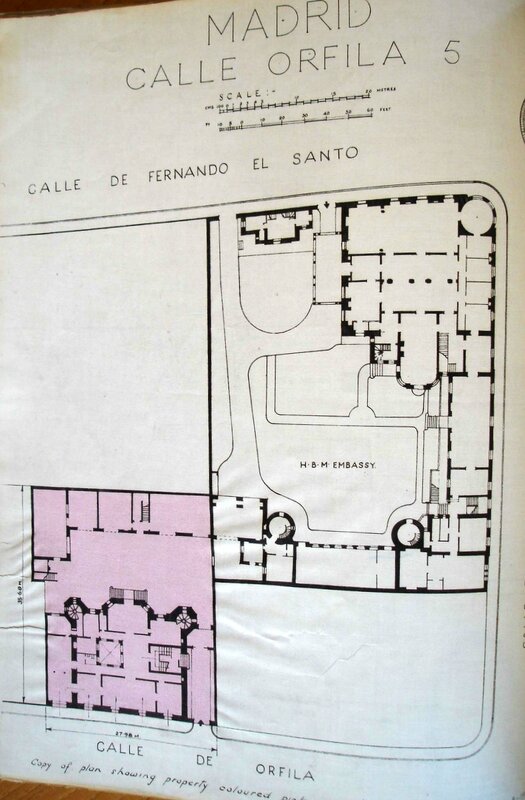 The minister, Henry Bulwer, instead leased, in the name of the Crown, the former Montezuma family residence at 9 Calle de Torija, at the corner of Calle de las Rejas, for £400 per annum from Don Joaquin de Vallarino, Marqués Viudo Perija. The Treasury in 1850 sent the Commissioners of Works a copy of the 1847 lease, which the Office renewed, each time in agreement with successive incumbents, in 1857, 1867 and 1877. It finally bought the freehold in 1886 for £12,000, and it remained the residence until 1907. By 1903, the ambassador, Sir Edwin Egerton, considered that the Calle de Torija house was no longer suitable. Sir Schomberg McDonnell, Secretary at the Office of Works, sent Sir Henry Tanner, the Office’s principal architect and surveyor, to have a look. Tanner did not think the Madrid house was dreadful but it was definitely congested, including to the extent that ‘… the sides of the building are in narrow streets and on the side where the reception rooms are placed views of linen being hung at the opposite window to dry may be frequently enjoyed’. Tanner liked an alternative house that he saw on Castellana and was pursuing it when, two months later, he was summoned back to Madrid to see a better house that Egerton had identified at 16 Calle de Fernando El Santo. Tanner agreed that this was a preferable opportunity and reached terms with the owner, the Marquis de Avala, that proved agreeable in principle to the Treasury although funds were short. The idea in mid-1904 was that a quarter of the price of £26,000 should be paid immediately and possession taken in September. It transpired, however, that government accounting would not permit this and Tanner had to ‘put the drag on’ and make the whole payment after the start of the next financial year in April 1905. Meanwhile, Sir Arthur Nicolson succeeded Egerton and favoured buying a cheaper house that had come on the market in the same street, but the Office of Works refused to entertain such a breach of faith. Embarrassing though it was, Avala did not complain about keeping his house off the market without payment for another six months. By mid-February Nicolson thought ‘We have now reached a point where quiescence is the only course’ and silence tided them through until the purchase was completed on 3 April 1905. As well as the usual range of alterations and adjustments to suit the needs of a mission house, the house also required considerable new space for the chancery. Tanner therefore added a chancery floor to the earlier wing that joined the main house to the kitchen block at one corner of the garden and carried on round to the garage block at the next corner. 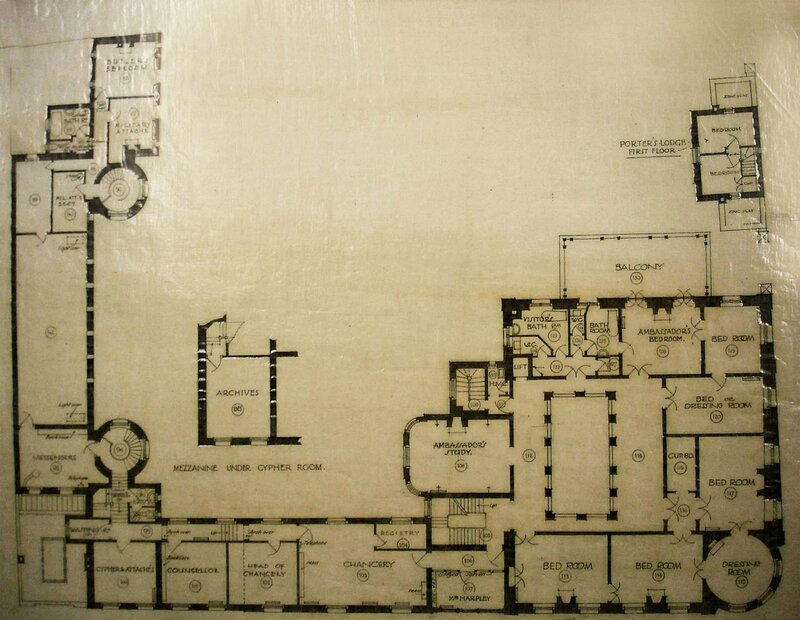 This produced a handsome L-shaped suite of chancery offices (even if, at the far end, the military attaché’s office was next to the butler’s bedroom). He created a separate entrance to the chancery via a domed circular stair from the garden. All these works were first estimated at £14,000 but the cost eventually crept up to £26,000. The Treasury, complaining that it would never have approved the project if it had known the cost would increase so much, refused to sanction extra expenditure. Nevertheless, the embassy moved in during 1907. 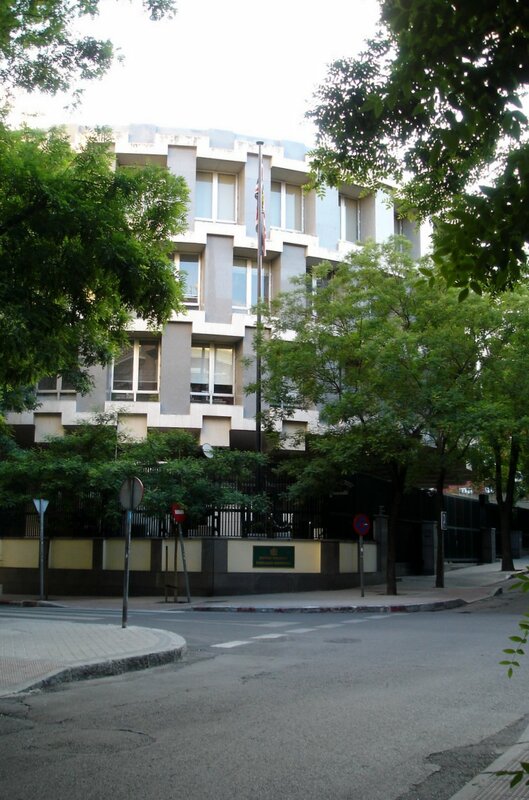 During the Second World War, the Fernando el Santo buildings were entirely taken over by offices, and the ambassador moved out to a partly-furnished leased house at Castellana 50. 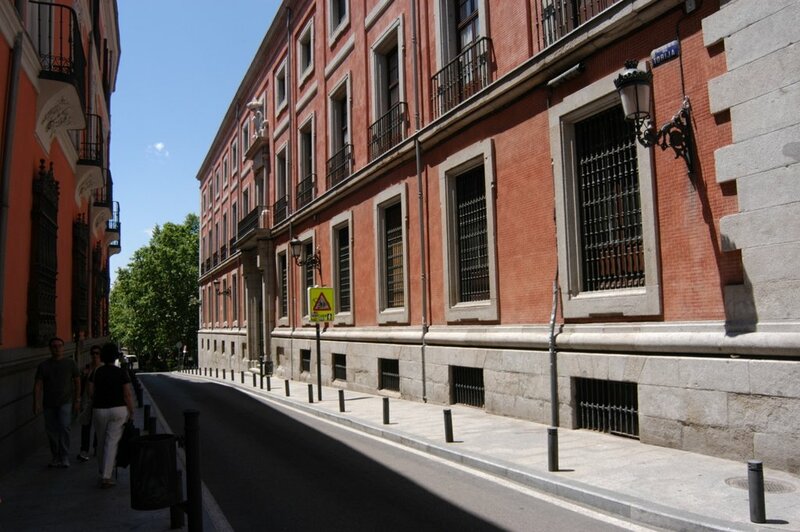 The Office of Works also bought the house at 5 Calle de Orfila, adjoining the offices at one corner, in March 1943 to house the Press Department close to the embassy. In late 1944, thoughts turned to how better to accommodate the embassy once the war was over and numerous permutations were examined. 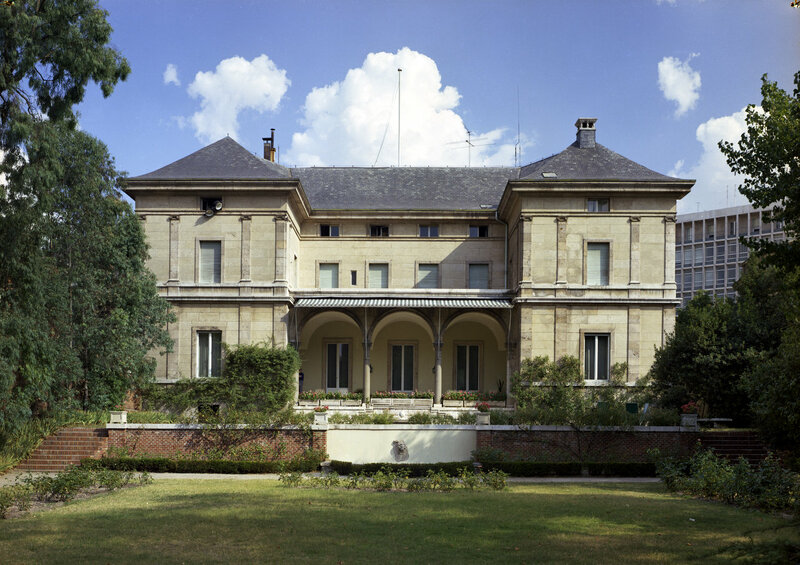 By September 1945, the choice alighted on leaving the offices at Fernando el Santo and seeking to move the residence into the former German residence. Approximate site of first permanent mission house in Calle de Torija, 2007. 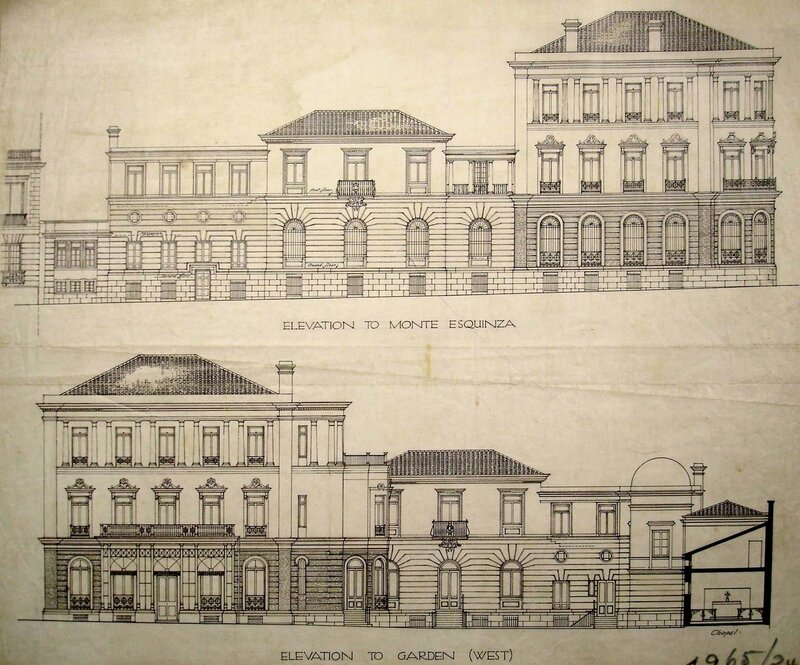 Elevation drawings of Fernando el Santo, 1919. Glazed porch, viewed from garden, 1953. Siteplan of Calle de Orfila purchase, 1943. The former German residence, at Hermanos Bécquer 3, by then belonged jointly to the three Trustee Powers, who were prepared to grant the British a one-year lease to run from 1 Jan 1946. The house was also part-furnished, because ‘The Germans were just filling it with brand new furniture throughout when the war came to an end. … The house is full of a large number of excellent new upholstered chairs and sofas, very few of which have yet been covered, but for which there exists a lot of good artificial silk in a cupboard’. 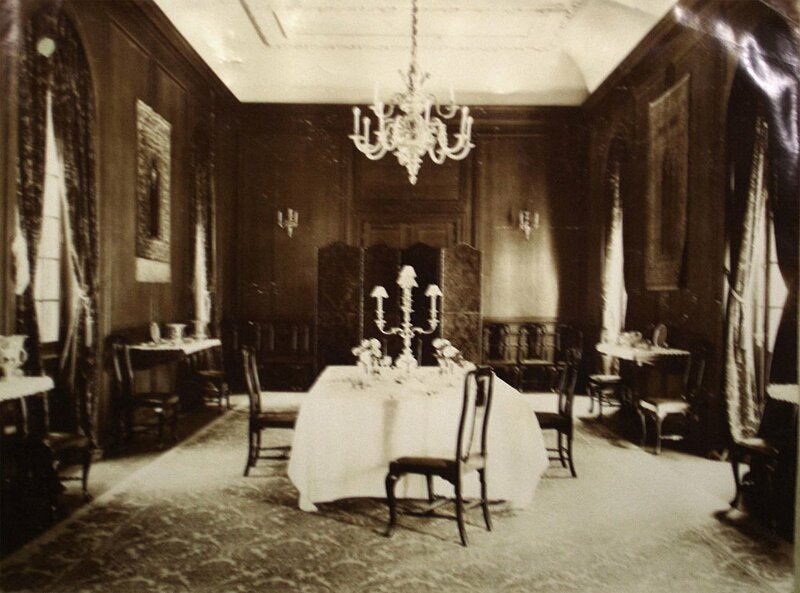 But just before he moved in, the ambassador, Sir Victor Mallet, told the foreign secretary, Ernest Bevin, that the house was less furnished than he expected because ‘… in the last few days the Czechoslovak Legation have put in a claim for all the Persian rugs and two of the large chandeliers…and the grand piano’. British hopes were high that they could buy the house at the end of the lease. Parr, an architect visiting from the Office of Works, also recommended purchase of the former German chancery building at Castellana 4. Mallet put the British proposal to buy both residence and chancery to his Trustee colleagues but they were not prepared to agree at that time, and the lease of the residence alone was instead three times renewed for another year. The trustees decided in 1948 to auction the properties. The British were much afraid that the Americans would trump them but in the event decided to steer clear. The Office of Works obtained Treasury approval to bid up to £130,000 for the residence but nothing for the offices. 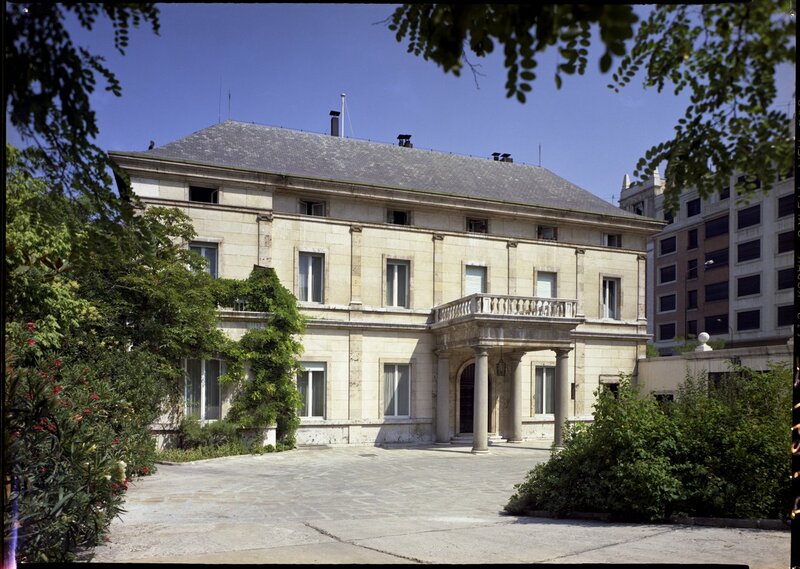 An 8.5 million bid of blocked pesetas (about £84,000 at the diplomatic rate of exchange) secured Hermanos Bécquer 3 in July 1949, and the purchase was completed in April 1950. In 1969, the owners of a property adjacent to the Hermanos Bécquer residence proposed to erect a multi-storey building on their site. Fearing serious over-looking, London resolved to move the residence and in 1970 bought a site in the excellent residential district of Puerta de Hierro, at the corner of Calle de Guisando and Calle de la Isla de Oza, on which to build a new residence. This site cost £102,000 and construction costs were expected to be about £180,000. The adjacent development was being slow to start and it appeared in 1971 that the over-looking threat might have passed. In 1972, however, the adjacent site changed hands again and its new owner, Banco Coca, proposed building a 12-storey office building next door. By this time, the Hermanos Bécquer 3 house itself was the subject of a preservation order, which much reduced its value should the Ministry of Public Building and Works come to sell it. In these circumstances, Ministers decided that the residence should be retained and the contingency site at Puerta de Hierro sold. As construction of the Banco Coca building progressed, however, and soon after the Puerta de Hierro site had been sold, it became clear that retention of the residence at Hermanos Bécquer 3 was, after all, untenable, and it was sold in 1980. Another site, this time with a house already on it, was bought in 1978 in Puerta de Hierro, at Avenida de Miraflores 23, for nearly £800,000 and readied for occupation in summer 1979. The two-storey house, some thirty years old, was in the manner of a comfortable country villa, and set in a well laid out, good sized garden with a private swimming pool. It was modernised, extensively redecorated, furnished in traditional style and the ambassador moved in during 1980. 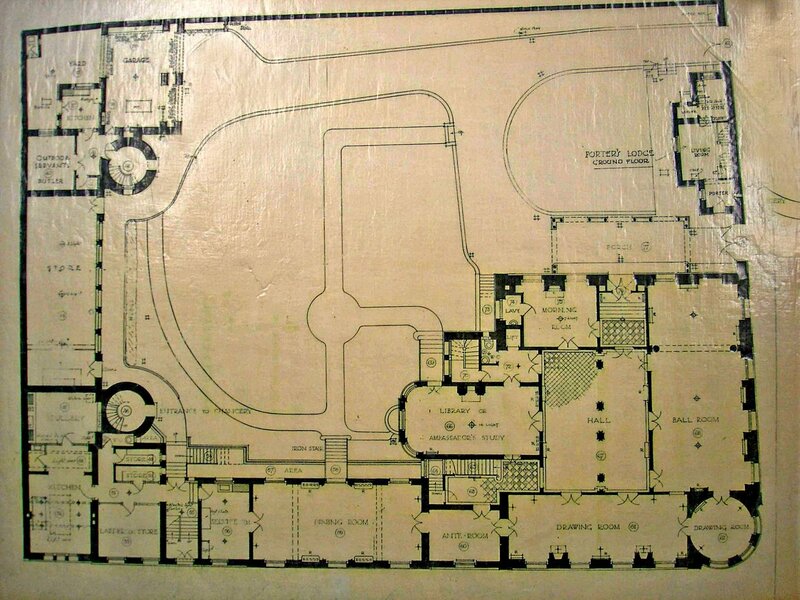 By the 1960s, the offices in the former mission house on the Calle Fernando el Santo were entirely unsuitable. Extensive debate concluded that the most satisfactory solution would be to out-house the offices temporarily, demolish all the buildings on the site, and build anew on the same site. 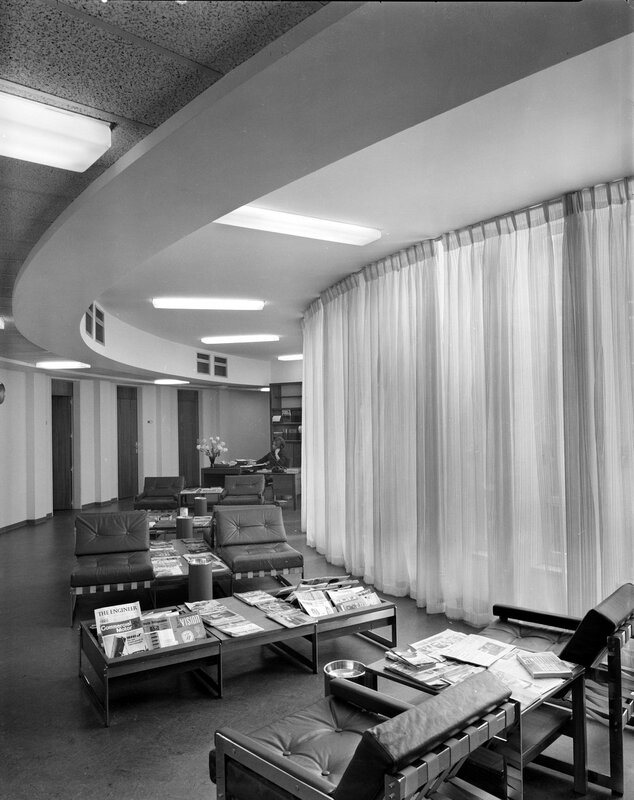 The Ministry of Public Building and Works, with William Bryant, its assistant chief architect taking the lead, designed a hollow drum, comprising three floors of offices, resting on a huge radial cantilever system above an open ground floor. 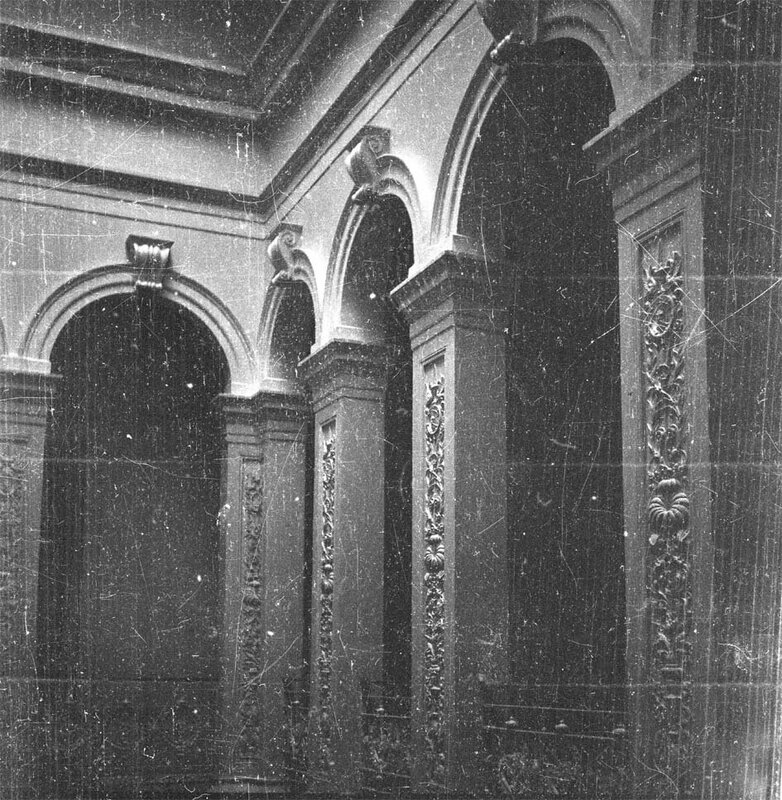 The internal circular corridor served small rooms on its inner side, large one on its outer, and none where it opened up into communal spaces. The associate architect was Senor Blanco Soler and the contractor Helma-Laing SA. Work started on site early in 1965, with David Blaikie as the clerk of works. It cost about £425,000 and was opened on 22 October 1966 by Sir Alan Williams, the ambassador. Inevitably, it was dubbed the Bullring from the first design presentation until its demolition in 2010 [?] by [who bought it?] who had paid [how much?] for the site’s potential redevelopment value. The embassy had moved to leased space on floors 37-41 of the newly-built Torre Espacio tower in 2009[?]. 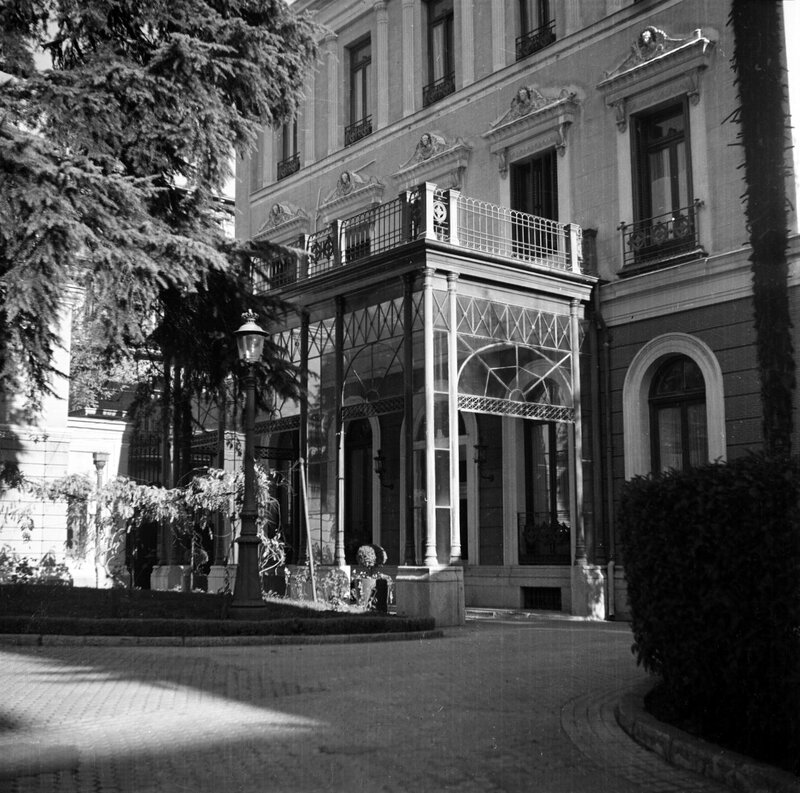 Hermanos Becquer residence entrance front, 1967. 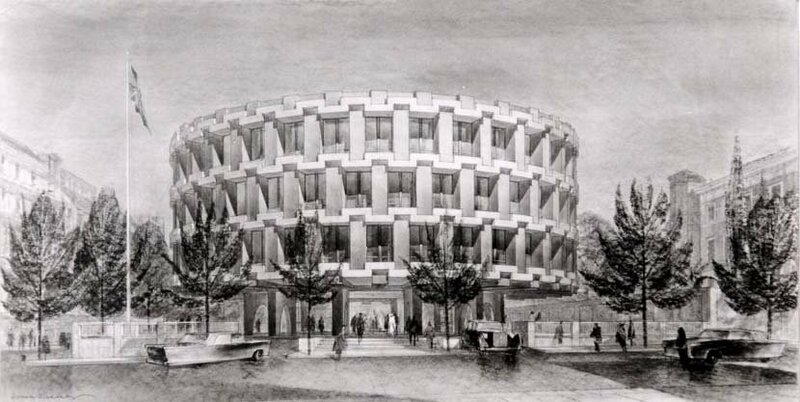 Presentation drawing of offices proposal, 1962, drawn by William Suddaby, exhibited at Royal Academy. 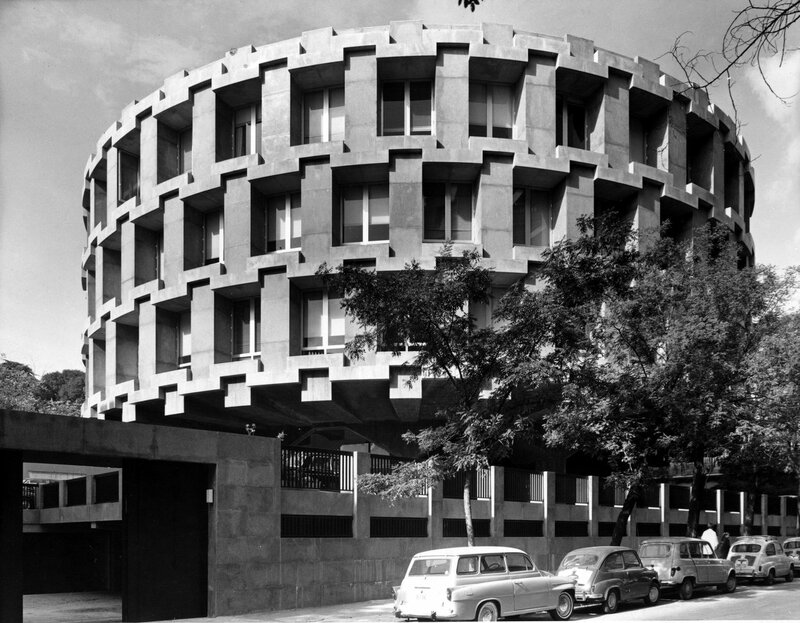 Completed drum of offices, 1966. Court inside the drum, 1966. 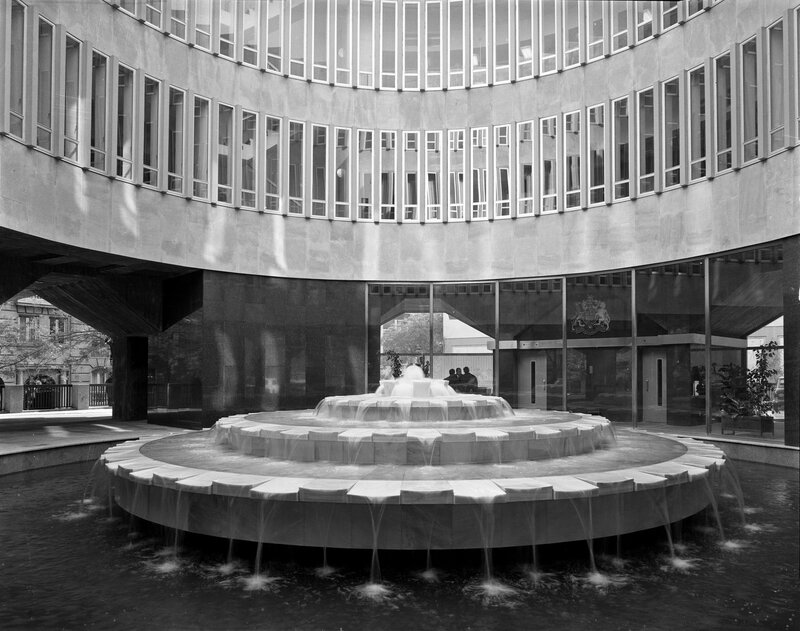 Communal space over-looking court, 1966.